Luis Eduardo Luna was born in Florencia, in the Colombian Amazon region, in 1947. He studied Philosophy and Literature at the Complutense University of Madrid. He earned an interdisciplinary Masters degree while at the same time teaching Spanish and Latin American Literature at the Department of Romance Languages of Oslo University. In 1979 he moved to Finland where he is currently a Senior Lecturer at the Swedish School of Economics, Helsinki, Finland. In 1989 he received a Ph.D. from the Institute of Comparative Religion at Stockholm University, and in 2000 an honorary doctorate from St. Lawrence University, Canton, New York. A Guggenheim Fellow and Fellow of the Linnean Society of London, he is the author of Vegetalismo: Shamanism Among the Mestizo Population of the Peruvian Amazon (1986), and with Pablo Amaringo of Ayahuasca Visions: The Religious Iconography of a Peruvian Shaman (1991). 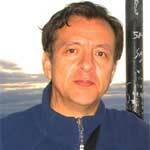 He is co-editor with Steven F. White of Ayahuasca Reader: Encounters with the Amazon’s Sacred Vine (2000). In 1986 he co-founded with Pablo Amaringo the Usko-Ayar Amazonian School of Painting of Pucallpa, Peru, and served as its Director of International Exhibitions until 1994. He was Professor of Anthropology at the Federal University of Santa Catarina, Brazil (1994-1998), has lectured about Amazonian shamanism and modified states of consciousness worldwide, and has curated exhibitions of visionary art in several countries. Luna has over 30 years of experience with ayahuasca in various contexts: as an anthropologist with indigenous groups and among urban and rural mestizo ayahuasqueros in Peru and Colombia, with all the syncretic Brazilian religious organizations that use ayahuasca as a sacrament, and as a facilitator in specially designed workshops. See his webste at http://www.wasiwaska.org. Please see the bottom of the page for links to a video interview with Luis, and his 1982 film ‘Don Emilio & His Little Doctors’. The conquest of the Americas by the empires of Europe resulted in the nearly total loss of the cultural, technical and intellectual achievements of one third of the population of the world of that time. The Amerindian crops adopted by the European conquerors spread around the world: corn, potatoes, manioc, tomatoes, pepper, calabash, certain beans, as well as stimulants such as cacao, coca and tobacco. Yet the advanced technical capabilities of many Amerindian societies in the fields of astronomy, engineering, medicinal plants, ceramics, weaving, basketry, and – as is becoming increasingly evident — the sophisticated and efficient use of the land, did not have any significant impact on the home countries of the conquerors. The sacred books of the Maya were burned in 1562. The quipus of the Andes — a work of the Devil according to sixteenth century friars – were destroyed by a decree in 1583. The sacred groves, temples and places of worship of the Amerindians were desecrated. Revered works of art were melted down for the price of their gold. The repository of Amerindian traditions, the bearers of wisdom who “remembered” and knew “how to speak”, were hunted and killed. Their knowledge was treated as the work of Satan, still today a powerful archetypical figure in both the Christian and Islamic worlds. We may infer that seen as a whole, totally unrecognized by most people, Pre-Columbian art is full of allusions to unseen realms, shamanic transformation, subjective states and alternative modes of cognition. One of the most common themes is the jaguar transformation. The human / feline motif is found in South America from the earliest cultures, such as in Caral (ca. 4,600 B.P.) in Coastal Peru. The idea that shamans are able to transform into jaguars is widespread even today in the Amazon, as shown by Reichel-Dolmatoff (1975) in his monograph on this subject. Transformation into other animals, such as serpent, harpy eagle or whatever animal it would be necessary to acquire certain qualities or cognitive abilities is also believed to be possible. Therianthropes, a composite of human and animal, sometimes of several of them, as well as many other motifs expressing various inner states are thus common in Amerindian iconography. Therianthropes may be either a representation of entities acquiring anthropomorphic features in order to communicate with human counterparts, or an expression of a subjective perceptional mode in which the human acquires animal qualities. These images would instantly evoke in Amerindian people particular cognitive states related to multidimensional, multilayered cosmologies, spaces in the mind (perhaps the perception of alternate realities) nowadays mostly forgotten but once visited by the ancestors of all of us, as may be deduced from numerous examples of Paleolithic rock art (Clottes & Lewis-Williams 1998; Lewis-Williams 2002; Hancock 2005). Throughout the Americas in the past and in some places still today shamanism has gone hand in hand with the use of psychointegrator plants. The best known are peyote (Lophophora williamsi) and Psylocibin mushrooms in Mesoamerica; several species of Brugmansia, Anadenanthera colubrina and Anadenanthera peregrina in South America (also introduced in pre-Columbian times in the Caribbean); the various San Pedro cactus (Trichocereus pachanoi and other Trichocereus species) in Andean and Coastal areas of Peru; ayahuasca (Banisteriopsis caapi + Psychotria viridis) and yajé (Banisteriopsis caapi + Diplopterys cabrerana) in the Upper Amazon; and of course tobacco, sacred in the whole of the Americas. In more restrictive areas, many other psychotropic plants were or are still used. According to Alicia Fernández Distel (1980) Anadenanthera colubrina was already being used in Inca Cueva, Puna de Jujuy, Argentina around 2100 BC. It played a central role in the extraordinary Tiwanaku culture, roughly from 300 to 1000 AD, as evidenced in representations of snuff paraphernalia in monoliths, and the ubiquity of snuff kits, including tablets, inhalators, spoons and pouches with powder from seeds of this plant, conserved in San Pedro de Atacama, Chile, an area heavily influenced by the Tiwanaku culture (Torres & Rebke 2006; see figures 4-5, courtesy of C. M. Torres). Figure 5. The Ponce monolith in the Kalasasaya yard of Tiwanaku. According to Gordon Francis McEwan (2001:197) prehistoric agricultural groups associated with the Saladoid tradition (c. 5300-2000 BC) transplanted Anadenanthera colubrina into the West Indies from the Orinoco valley, reaching Puerto Rico by 2300-2000 BC. Several pre-Columbian mortars from the Amazon area probably associated with the use of cohoba or yopo have been preserved (McEwan 2001). The use of Anadenanthera peregrina was witnessed during his second trip (1497-8) to the Americas by Columbus, who had the Catalonian friar Ramón Pané document its use in the very first book written in the Americas in a European language. The oldest evidence of the use of Thricocereus pachanoi dates from around 2000-1500 BC in Las Aldas on the north-central coast of Peru (Fung 1972; Polia Meconi 1996: 289). The San Pedro cactus played a central role in Chavin culture in the northern Andean highlands of Peru, as evidenced in figures from the religious and political center of Chavin de Huántar (900-200 BC, see fig. 6) as well as from Nazca (100 BC to 700 AD). Figure 6. Therianthrop with feline characteristics holding a stalk of San Pedro cactus. Circular Plaza of the Old Temple, Chavin de Huántar. Photo M.C. Torres. Click for fullsize image. The oldest known dates for tobacco are from the North Coast of Peru, with dates ranging between 2500 and 1800 B.C. (Pearsall, 1992: 178). Coca chewing in northern Peru began at least 6000 B.C. (Dillehay et al. 2010). Compared to the extraordinary cultures found in coastal Peru, the Andes and Mesoamerica, until recently the Pre-Columbian Amazon area was considered to be devoid of high culture. It is now clear that human beings were living in the Amazon area at least 12,000 years ago or even longer (Roosevelt 1994). The oldest ceramics in South America, from 5080 BC, were found in Taperinha, near Santarem, in the Brazilian Amazon area (Roosevelt et al. 1991). Several agricultural centers have been localized in the Amazon area, perhaps independent of those where agriculture was autonomously originated in the Americas (Mesoamerica, the Andes, and Eastern North America). Archeologists such as Clark L. Erikson, William L. Balée, Michael Heckenberger, Eduardo Neves, Augusto Oyuela-Caycedo and others are changing our ideas of the pre-Columbian Amazon with the discovery of the vast man-made channels, raised fields, mounds and forest islands connected by earthen causeways in various parts of the Amazon, and the existence over large areas of the so-called “terra preta do indio” (Amazonian Dark Earths) or man-made soils of the highest quality and at times two meters deep in areas where natural soils are no more than a few centimeters, as well as large orchards of semi-domesticated fruit trees (see for example Woods et al. 2009). In Acre, Brazil, a large number of geoglyphs, geometric earthworks, have been localized (Schaan et al. ), and a large circle of granite stones found in Calçoene, near Macapá, in Amapá state, also in Brazil, dating back to between 700 AD and 1,000 AD suggest a knowledge of astronomy. The indications of large sedentary populations, perhaps in the millions, and levels of civilization much higher and complex than previously thought, lend credence to the picture painted in 1542 by Friar Gaspar de Carvajal in his chronicle of the odyssey of Francisco de Orellana and his men, the first Europeans to travel down the Amazon River from the Napo River to the Atlantic Ocean. Friar Gaspar de Carvajal wrote of great “capitanías”, large human settlements on both sides of the river, and of extraordinary ceramic work, “the best in the world” even “better than then of Málaga”. It is difficult to imagine the kind of cultures that occupied this vast area, given the cataclysmic decimation of up to 95% of the population throughout the Americas following European contact. In 1634 Acuña still talked about myriads of people living along the rivers and cultivating soils of great fertility. Nearly one hundred years later Charles-Marie de La Condamine (1701-1774) reported on his journey into the Amazon, which started in 1743, that the area was to a great extent empty. The most probable cause was the diseases brought by the European conquerors. The material culture of the inhabitants of the Amazon of today and probably even more so of the Amazon of the distant past is based on a sophisticated use of plant material. The inhabitants have proved to possess a great knowledge of edible, venomous, medicinal and psychoactive plants. Amazonian Indians discovered the properties of latex from the Hebea species, the source of rubber: the rubber boom 1850-1914, which was to become a pillar of the automobile and weapon industry, resulted in the enslavement of local populations; a similar havoc was also suffered by the local populations in the Congo Free State, the personal fiefdom of the ill-famed King Leopold II of Belgium. Quinine from the bark of Ecuadorian chinchona trees was used until the 1940s in the treatment of malaria. Plants containing curare have not only been used for various types of arrow poisons but have also been vital for the development of the techniques of open heart surgery, radical brain and cranio-facial surgery as well as organ transplants. The people of the Amazon live in one of the areas of the largest biodiversity on the planet. It is becoming increasingly evident that the biodiversity of the Amazot is to a great extent the result of the natural resource management of the pre-Columbian people of the Amazon. Some of this knowledge is still preserved today by the Cayapó of the Brazilian Amazon, who demonstrate a great understanding of ecosystems, plant and animal species association, insect-plant interaction, as well as sophisticated soil taxonomy (Posey 1984, 1991, Posey et al. 1989). The Cayapó have been credited with the creation of forest islands on mostly savanna covered territories, with the recognition of marginal or open spots within the forest that have micro-environmental conditions similar to those in the savannah, as well as with the exchange and spread of useful species between ecological zones through the transplantation of seeds, cuttings, tubers and saplings (Posey 1984, 1991, Posey et al. 1989). To a certain extent the Amazon is an anthropogenic forest, a gigantic garden partially created by human beings through millennia of interaction with the natural environment. The knowledge of the people of the Amazon of what may be called the pharmacology of consciousness needs perforce to be placed within the context of such a sophisticated high culture. Snuffs made from the seeds of Anadenanthera peregrina or from the sap of Virola theidora, are still used today to induce altered states of consciousness. Various indigenous groups of Colombia and some areas of the Ecuadorian Amazon as well as indigenous groups belonging to several linguistic families in the upper Amazon still today use the pounded stem of the vine Banisteriopsis caapi, often in combination with Diplopterys cabrerana, a vine in the same genus (Malpighiaceae), either as a cold infusion or as a decoction called yagé (also spelled yajé). In other areas of Ecuador, as well as the Peruvian, Bolivian and Brazilian Amazon, indigenous groups use the stem of Banisteriopsis caapi in combination with the leaves of Psychotria viridis (Rubiacea), usually as a decoction, under the Quechua name ayahuasca (also spelled ayawaska). There are other vernacular names for both yajé and ayahuasca. There is no clear evidence of the earlier use of either of these plant preparations beyond the statements by eighteenth century missionaries, who considered the preparations to be agents of the Devil. However, given the antiquity of the use of other psychotropic plants, it seems unlikely that yajé or ayahuasca are a relatively recent innovation. It is little more than speculation to claim that knowing how to prepare yajé or ayahuasca derives from some kind of higher psychopharmacological knowledge of indigenous Amazonians. But what is beyond speculation is that the preparation of yajé or ayahuasca requires the mastery of a sophisticated technique. Diplopterys cabrerana and Psychotria viridis contain the alkaloid DMT (dimethyltryptamine), which is orally inactive due to its degradation by the monoamine oxidases (MAO) present in the human gut and liver. The MAO-inhibitor harmine in Banisteriopsis caapi protects the DMT in Diplopterys cabrerana and Psychotria viridis from oxidative metabolism, thus allowing the transport of the DMT through the intestinal wall and liver and making it available for the central nervous system. The serotonin reuptake inhibitor tetrahydroharmine in Banisteriopsis caapi most probably adds to the overall effect of ayahuasca on consciousness. In addition to the two main alkaloids harmine and tetrahydroharmine, some varieties of Banisteriopsis caapi contain active amounts of harmaline. Yajé and ayahuasca are still used by numerous indigenous groups of the Upper Amazon for contacting normally hidden spiritual realms, for hunting, for learning about the plans of other people, for finding the etiology of illness or for divination. Yajé or ayahuasca is frequently a source for their art, expressed in body painting or the decoration of their material culture. It may be also used for memorizing myths or tales important to their communities, for reinforcing the social moral values, especially among the youth, and for getting in touch with the spirits of other plants to learn about their properties (all uses are not necessarily present in each and every indigenous group). The importance of the plants involved in these preparations is reflected in myths and narratives. They may have been revealed by beings living in underwater realms –considered especially powerful- or the offspring of the Sun after impregnation of a woman through her eyes (Reichel-Dolmatoff 1975, Lagrou 2000, Luna 2011). The plants are considered sacred, with their collecting and handling often ritualized and their consumption occurring in special ceremonies, either collective or intimate. In some areas these and other plants are considered as teachers, a commonly held idea the author first encountered while doing fieldwork in the Peruvian Amazon among mestizo vegetalistas or practitioners specialized in certain especially powerful plants or vegetales (Luna 1984, 1986), many of whom primarily used ayahuasca for the diagnosis and treatment of illness as well as for divination. Another commonly held idea is that by taking ayahuasca and other sacred plants it is possible to have a clearer mind and focus, enhanced sensory perception and imagery (and therefore the possibility of learning more easily), in addition to access to information not readily available in everyday life. It is commonly held that the plants strengthen and protect people from illnesses, including those caused by living agents such as other human beings or spirits. Practitioners often talk about la ciencia de la ayahuasca, a concept that describes the ability to find the plants in the forest, the knowledge of the kind of soil where they grow, their color and shape, the part of the plants used, as well as the way to prepare them such as the amount of plant material and water added, the intensity of the fire, the point of boiling, the moment at which the pot is taken off the fire, even the thoughts, songs or prayers of the person who is preparing the brew. Plant teachers include not only the plants involved in the preparation of ayahuasca, but also other plants that are used either as occasional admixture plants, such as several species of Brugmansia and Brunfelsia grandiflora, or are used by themselves such as Courupita guianensis that is said to teach in the dreams, which are not necessarily psychotropic (Luna 1986, Beyer 2009). The subjacent idea is that by ingesting these plants one gets in touch with their spirits and learns from them, either directly in the visions that they may produce, or in dreams. Practitioners claim that it is possible to fine-tune one’s psyche in a controlled way in order to acquire certain cognitive abilities to perceive aspects of reality not available in normal consciousness. The Aguaruna of the Peruvian Amazon, for example, believe it is not enough simply to know the facts: one must learn how to bring the body, the intellect and the emotions together into the epiphany of the visionary experience (Brown 1985). The acquired knowledge inspires cultural creations such as song, dance, body painting or narratives or otherwise benefits the individual or group. In contemporary terms we could say that for the practitioners, the plants are cognitive tools to enhance their cultural production. In 1987 I spent a month in Santa Rosa de Pirococha, a small Shipibo settlement of around 70 inhabitants on the left bank of the Ucayali River approximately between the cities of Pucallpa and Orellana. The Shipibo are famous for their elaborated designs ­- kené in their language — with which in earlier times they decorated the objects of their material culture and their bodies. Nowadays Shipibo woman still embroider their skirts with elaborate geometrical patterns. Originality is emphasized so that within their overall particular style, all the skirts are different (Figure 7). Nowadays Shipibo women also produce high quality ceramics, which they also decorate with elaborate geometrical patterns (Figure 8). The Shipibo seem to see themselves as not only as covered but also as surrounded by a normally invisible field of colorful tridimensional patterns. Figure 7. Young Shipibo Women. Santa Rosa de Pirococha 1987. The Shipibo are locally known for their shamanic traditions associated with the use of shori, their vernacular name for ayahuasca. The reason for my visiting Santa Rosa de Pirococha was to study the process of “learning from the plants”, which involves a certain diet and the repetitive ingestion of ayahuasca. During the one-month stay, I was guided by of Don Basilio Gordon, at the time a reputed shaman and now deceased. For one month I followed the prescribed traditional diet consisting of only manioc, plantains and at times a little fish, and did not consume any salt, sugar or alcohol. I drank ayahuasca thirteen times. As I do not know the language, my training basically consisted of following the melody of the songs while under the effect of the brew, and accompanying Don Basilio in his trips to the forest to see various plants. Figure 8: Shipibo woman decorating a ceramic. Santa Rosa de Pirococha, 1987. Don Basilio told me that when you know the songs of a given plant, it is not necessary to use the physical plant as all their physical properties are embedded in the song. In this tradition healing is basically done through the songs. There were always a few mestizo patients attending the ceremonies during my stay, but no members of the Shipibo community, except Irineo, a man in his thirties, who often sang along Don Basilio. Under ayahuasca influence, the shaman perceives, from the spirit world, incomprehensible, often chaotic, information in the form of luminous designs. He then "domesticates" this information by converting it into various aesthetic notions: geometric patterns, melodies/rhythm and fragrance which play a key psychological and spiritual role for both the patient and society. Only through this mediating step the awesome and incomprehensible become an applicable corpus of shamanic cognition suitable for the mundane village. (Gebhart-Sayer 1986). Shipibo art is one of the many examples of Amerindian art that point to another reality, to perhaps the threshold of geometric patterns that often appear at the onset of the visionary experience with ayahuasca. The current interest of Westerners in ayahuasca has provoked an interest in Shipibo textiles and ceramics that has created a renaissance in Shipibo art, body painting and cultural identity. Yajé and especially ayahuasca already by the beginning of the 20th century were adopted by a segment of the mestizo population of the Western Amazon. In the 1930s, 1940s and 1960s they gradually gained a foothold among the urban population of non-Amazonian towns in Brazil, becoming a part of organized religions. Beginning in the 1980s with the experimentation of Westerners with ayahuasca and its various associated traditions, interest in ayahuasca has become an international phenomenon (cf. Labate & Jungaberle 2011). The numerous narratives about ayahuasca encounters and other plant preparations with a similar phytochemistry, i.e., the so-called ayahuasca analogues (Ott 1994), have made possible comparative studies. Among the narratives available I decided to concentrate on the theme of transformation, which we saw are so common in indigenous accounts and pre-Columbian iconography, particularly on that of jaguar transformation. Here are two examples of transformation from an anthology on ayahuasca encounters (Luna & White 2000). The first, a jaguar transformation experienced during an ayahuasca session by French anthropologist Dr. Françoise Barbira-Freedman. The second example is transformation into a water molecule and witnessing of the photosynthesis process experienced by American ethnopharmacologist Dr. Dennis McKenna during a ritual of one of the Brazilian religious organizations that use ayahuasca as a sacrament. “A wave of intense aggressiveness unfurls in my solar plexus. This causes me to vomit, later than usual after taking Ayahuasca, and the process of ‘becoming jaguar’ takes me over irresistibly. I feel it all at once, paws and claws, spine and tail, nose, whiskers and tail; I see with a jaguar’s eyes, suddenly encompassing a wider field of vision, prick a jaguar’s ears, open my jaws in practice. ‘My’ jaguar has gone; It dawns on me that I have become her, am her, yet at the same time I retain the awareness of her merged with my consciousness. I find it easy to signal to the other jaguars to go away with mere body language, arching my back intensely. As I do this, I have a flashback of my cat standing up to the stray cats of a new neighborhood when we moved house in Cambridge. Nothing I ever read about shamanic animal metamorphoses could have prepared me for the total involvement of my senses, body, mind in this process. I am fully experiencing it, I am it, yet at the same time I retain the awareness of who I am, albeit in jaguar form, partaking with other people clearly dealing with intense experiences of their own in an Ayahuasca ceremony. The female jaguar whose form I have entices me to go into the forest where she will teach me the ways of jaguars. Suddenly I am in a swampy area near an ox bow lake which is my home and instantly I am made to understand/feel stalking prey, jumping and killing, ripping, spreading fear and also feeling fear myself, being lonely and shy and even cowardly among the other animals there; surprisingly lounging and relaxing in the water. It does not surprise me that the other shaman present, as an eagle, comes to find me and blows gently on my crown. It is even reassuring, as surprised as I am to know that this large harpy eagle is him, that as a jaguar I can physically relate to the being of the eagle, particularly eyes, beak and talons. I respond to the ritual blowing and feel very calm and at ease in my jaguar self, keenly sensing my surroundings.” (Barbira-Freedman 2000:115). This vision engaged my whole self experientially in a phenomenological approach, which was blatantly at odds with the empiricist standpoint I intellectually favoured. There was no longer any other possible standpoint for me as an anthropologist than that of the shamanic rainbow, forever bridging between incommensurable perceptions and perspectives within highlands and lowlands, earth and sky, earth and water, from a constantly changing in-between.” (p.117). The full text merits a close reading. Dennis McKenna was one of the invited guests at the first scientific conference organized by the Uniâo do Vegetal (UDV) in Brazil. The UDV (Uniâo do Vegetal), created in Porto Velho in 1968 by José Gabriel da Costa (1922 -1971), is the youngest of the Brazilian religious organizations that use ayahuasca as a sacrament, to which they give the name of vegetal. The UDV conceives the brew as having two basic components: “força” (force) and luz” (light). “I found myself “instantly transported from my bodiless perch in space to the lightless depths beneath the surface of the earth. I had somehow become a sentient water molecule, percolating randomly through the soil, lost amid the tangle of the enormous root fibers of the Banisteriopsis World Tree.” (McKenna 2000:154-7). McKenna continues with an extraordinary, detailed narrative about his journey through the roots and vascular system of the vine, his arrival at the surface of a leaf and how as a water molecule he not only witnessed but also participated in the process of photosynthesis. Accounts by educated Westerners such the French medical anthropologist Dr. Françoise Barbira-Freedman and the American ethno-pharmacologist Dr. Dennis McKenna echo ideas found in Pre-Columbian art and in indigenous narratives. They point to a new alter-ego, to an alternative epistemology: the gaining of knowledge through a radical self-transformation, by taking an alternative — non human — point of view, by cognitively merging with the focus of one’s attention. The techniques for achieving such cognitive states are culture-specific. Like the mastery of any other technique, they require a special form of training. However, the various techniques have a biological dimension that is common to all human beings. The first steps in the scientific study of this biological dimension have already been taken in what amounts to an immense field of future research. Hopefully the development of some of the new theories of human consciousness will take into account tools that traditional societies have used for thousands of years. An example of one such new theory of human consciousness is Ede Frecska’s theory of the dual complementary methods of knowledge acquisition (Frecska 2008). The author proposes that the duality and complementarity in the physical universe where there are particles and waves, mass and energy, local effects and non-local connections is also found in a duality and a complementarity in knowledge acquisition. Frecska posits the existence two sources of knowledge: perceptual-cognitive and direct-intuitive, with the former having fewer problems than the latter with replicability. Perceptual-cognitive knowledge is electrochemical (based on local effects), operates via neuroaxonal networks, is linguistic albeit not necessarily verbal, and relies on a modeling with a subject-object division. It peaks in Western scientific thinking. Direct-intuitive knowledge is quantum-physical (based on nonlocal connections), operates via sub-neural networks, it is ineffable and relies on direct experience with no subject-object division. It is the source of contemplative traditions. Winkelman, on the other hand, suggests evolutionary mechanisms by which early primates would be able to metabolize substances toxic for other organisms found in the natural environment, and which may have contributed to human evolution. Clearly, psychointegrator agents do not simply disrupt normal perception. It seems that through them, by mysterious ways of mind exploration not yet understood, it is indeed possible to access valid information not readily available by ordinary means. Psychointegrator agents offer complex, often beautiful, coherent and useful experiences not normally accessible, to which some traditional societies assign great value. To dismiss such experiences as aberrations of the mind under the effect of drugs, which is the ordinary accepted discourse, is quite biased. Unbiased attention needs to be given to such phenomena. As William James pointed out, no account of the universe in its totality can be final, which leaves these other forms of consciousness quite disregarded (James 1929:379). The religious use of peyote by Native Americans in the United States, and ayahuasca among the general population in Brazil and a few other countries, has been accepted. This is of course a great step forward. However this is still too short. Ferguson (2011) points out that one of the reasons for the scientific superiority of Western Europe over the Ottoman Empire in the sixteenth century was the unlimited sovereignty religion in the Muslim world: in 1515 a decree of Sultan Selim I had threatened with death anyone found using the printing press. To allow the religious use of ayahuasca but to prohibit it as a tool for scientific and personal exploration would be a similar mistake. Science explores today the vast riches of outer space, as well as the minute yet immense realms of subatomic particles. We explore the depth of the oceans and the forests, high mountains and deserts. Yet the exploration of consciousness is still a forbidden realm, vastly explored by shamanic societies yet neglected in contemporary science due to a great extent to religious preconceptions carried throughout centuries. Amerindian art, largely inspired by altered states of consciousness, has perhaps a message for us. It expresses forms of cognition neglected by most, but still accessible to all of us as humans. The ontological reality of the worlds perceived through psychointegrator agents in the final analysis depends on the perceiver’s worldview. Many traditional societies would not doubt the existence of parallel and multidimensional worlds. With the exception of contemporary theories in physics and cosmology, modern thinking does not admit the existence of parallel and multidimensional universes. Short of direct experimental verification, orthodox scientific thinking treats talk of parallel and multidimensional universes as fiction if not as the projections of a deranged mind. This is not usually corroborated by those who have immersed themselves deeply in the study or experimentation of integrative states of consciousness. As a researcher I often ponder about the reality of the worlds I perceive through ayahuasca. A recent study on visual perception using functional MRI concludes that practically indistinguishable neural activity was observed in the primary visual cortex when having visions under the effects of ayahuasca than during normal perception. According to the authors this means that visions have a real, neurological basis; they are not made up or imagined (Araújo et al. 2011). Certainly this somehow explain why these alien perceptions often seem to have subjectively the qualities of reality, at times even more so than normal reality. Interaction with normally invisible beings, visitation of apparently coherent –at least subjectively- other worlds are commonly reported by educated individuals. The fact is that, whether we want it or not, these other dimensions -whatever their ontological reality- constantly emerge in our daily life, either through the stories we tell our children -we all lived once in those forested and magical worlds-, in the arts everywhere, in some of the religions we create, and certainly in our dreams. These other worlds and beings greatly enrich our existence. Without them, as without our remaining forests and their animals, the world would be a duller place. Albuquerque, Maria Bethania. 2012. Epistemologia e Saberes da Ayahuasca. Belém, Brazil: Eduepa. Barbira Freedman, Françoise. 2000. The Jaguar who would not say his Prayers: Changing polarities in Upper Amazonian Shamanism. In Luna, L.E. & White, S.F. Ayahuasca Reader: Encounters with the Amazon’s Sacred Vine. Santa Fe: Synergetic Press. Beyer, Stephan V. 2009. Singing to the Plants. A Guide to Mestizo Shamanism in the Upper Amazon. Albuquerque: University of Mexico Press. Brown, M.F. 1985. Tsewa’s Gift: Magic and Meaning in an Amazonian Society. Washington: Smithsonian Institution Press. Clottes, Jean & Lewis-Williams. 1998. The Shamans of Prehistory. Trance and Magic in the Painted Caves. New York: Harry N. Abrams, Inc. Publishers. Crosby, Alfred. 1986. Ecological Imperialism: The Biological Expansion of Europe, 900-1900. Cambridge University Press. De Araujo, D., Ribeiro, S., Cecchi G.A., Carvalho, F.M., Sanchez T. A. , Pinto J.P., de Martinis B.S., Crippa, J.A., Hallak, J.E.C., 3, Santos, A.C. 2011. “Seeing with the eyes shut: Neural basis of enhanced imagery following ayahuasca ingestion”. Human Brain Mapping first published online on 16 SEP 2011. Ferguson, Niall. 2011. Civilization. The West and the Rest. London: Penguin Books. Fernández Distel, Alicia A. 1980. “Hallazgo de pipas en complejos precerámicos del borde de la Puna Jujeña (Republica Argentina) y el empleo de alucinógenos por parte de las mismas culturas.” Estudios Arqueológicos 5: 55-75, Universidad de Chile, Antofagasta. Frecska, Ede. 2008. The Shaman’s Journey. Supernatural or Natural? A Neuro-Ontological Interpretatin of Spiritual Experiences. In Strassman, Rick; Wjojtowicz, Slawek; Luna, Luis Eduardo & Frecska, Ede. Inner Paths to Outer Space. Journeys to Alien Worlds through Psychedelics and Other Spiritual Techniques. Rochester, Vermont: Park Street Press. Frecska E, Magyar V, Móré Cs, Vargha A, Luna LE. 2011. “Enhancement of creative expression and entoptic phenomena as after-effects of repeated ayahuasca administration.” Journal of Psychopharmacology. In press. Fung, Rosa. 1972. “Las Aldas. Su ubicación dentro del proceso histórico del Perú antiguo.” Dédalo 9-10, Museu de Arte e Arqueología, Universidade de Saô Paulo, Brazil. Gimbutas, Marija. 1989. The Language of the Goddess. HarperSan Francisco, a division of HarperCollins Publishers. Hancock, Graham. 2005. Supernatural. Meetings with the Ancient Teachers of Mankind. London: Century. Harrison, Robert Pogue. 1992. Forest. The Shadow of Civilization. Chicago and London: The University of Chicago Press. James, William. 1929. Varieties of Religious Experience. New York: Modern Library. Klein, Daniel & Cruz Ceballos, Iván. 2007. El Arte Secreto del Ecuador Precolombino. Milán: 5 Continentes Ediciones. Labate, Beatriz Caiuby & Jungaberle, Henrik (Eds.). 2011. The Internationalization of Ayahuasca. Zurich and Berlin: LIT Verlag. Lagrou, Els. 2000. Two Ayahuasca Myths from the Cashinahua of Northwestern Brazil. In Luna, L.E. and White, S.F. Ayahuasca Reader. Encounters with the Amazon’s Sacred Vine. Synergetic Press, Santa Fe. Langdon, Jean. 1992. A cultura Siona e a experiȇncia alucinogénica. In Lux Vidal (Ed.) Grafismo Indígena. Estudos de Antropologia Estética. Sao Paulo: Studio Nobel. Luna, Luis Eduardo. 1984. “The Healing Practices of a Peruvian Shaman”. Journal of Ethnopharmacology 11:123-133, 1984. ‒‒‒‒‒ . 1984. “The concept of Plants as Teacher Among Four Mestizo Shamans of Iquitos, Northeast Peru.” Journal of Ethnopharmacology 11:135-156, 1984. ——–. 1992. Therapeutic Imagery in Amazonian Shamanism. Some Observations. Scripta Ethnologica Vol. XIV:19-25. Centro Argentino de Etnología Americana. ‒‒‒‒‒. 2011. Indigenous and mestizo use of Ayahuasca. An overview. In: Santos, R.G. The Ethnopharmacology of Ayahuasca. Research Signpost, Trivandrum. Luna, Luis Eduardo & White, Steven F. Ayahuasca Reader. Encounters with the Amazon’s Sacred Vine. Santa Fe: Synergetic Press. Lewis-Williams, David. 2002. The Mind in the Cave. Consciousness and the Origins of art. Thames and Hudson, London. Mann, Charles C. 2011. 1493. Uncovering the New World Columbus Created. New York: Alfred A. Knopf. McEwan, Colin. 2001. “Axiality and Access o Invisible Worlds”. In McEwan, Colin, Barreto, Cristiana and Neves, Eduardo Unknown Amazon. Culture in Nature in Ancient Brazil. The British Museum Press. McKenna, Dennis. 2000. An Unusual Experience with “Hoasca”: A Lesson from the Teacher. In Luna, L.E. & White, S.F. Ayahuasca Reader: Encounters with the Amazon’s Sacred Vine. Santa Fe: Synergetic Press. Ott, Jonathan. 1994. Ayahuasca Analogues. Pangæan Entheogens. Kennewick, WA: Natural Products CO.
Polia Meconi, Mario. 1996. “Despierta, remedio, cuenta…”: Adivinos y Médicos del Ande, 2 vols. Lima: Fondo Editorial, Pontificia Universidad Católica del Perú. Posey, Darrell A. et al. 1984. ‘Ethnoecology as applied anthropology in Amazonian development’. Human Organization 43: 95-107. Posey, Darrell. 1991. Kayapo Indians: experts in synergy. Leisa Magazine, Vol 7 no 4, 3-5. Posey, Darrell A. & W. Balée (eds.). 1989. ‘Resource Management in Amazonia: Indigenous and Folk Strategies. Advances in Economic Botany 7. New York Botanical Garden. Reichel-Dolmatoff, G., 1975. The Shaman and The Jaguar. A Study of Narcotic Drugs Among the Indians of Colombia. Philadelphia: Temple University Press. ‒‒‒‒‒1988. Goldwork and Shamanism. An Iconographic Study of the Gold Museum. Medellín: Editorial Colina. Schaan, Denise; Ranzi, Alceu; Párssinen, Martti. 2008. Arqueologia da Amazonia Ocidental: Os Geoglifos do Acre. Belém: Editora Universitaria UFPA. Schultes, Richard Evans & Bright, Alec. 1979. Ancient Gold Pectorals from Colombia: mushroom Effigies? Botanical Museum Leaflets, Vol. 27, Nos. 5-6: 113-141. Harvard University, Cambridge, Massachusetts. Stone, Rebecca E. 2011. The Jaguar Within: Shamanic Trance in Ancient Central and South American Art. University of Texas Press. Thomas, William Wayt (Ed.). 2008. The Atlantic Coastal Forest of Northeastern Brazil. Bronx, New York: New York Botanical Garden Press. Torres, C. Manuel & Rebke, David B. 2006. Anadenanthera: visionary plant of ancient South America. New York, Oxford, London: The Haworth Press. Winkelman, Michael. 1996. Psychointegrator plants. Their role in human culture and health. In Yearbook of cross-cultural medicine and psychotherapy 1995, Sacred plants, consciousness and healing. Vol. 6, ed. M. Winkelman and W. Andritzky. Berlin: Verlag und Vertrieb. ‒‒‒‒‒ 2010. Shamanism. A Biopsychosocial Paradigm of Consciousness and Healing. Santa Barbara, California, Denver, Oxford: Praeger. Woods, W.I., Teixeira, W.G., Lehman, J., Steiner, C., WinklerPrins, Rebellato, L. (Eds.). 2009. Amazonian Dark Earths: Wim Sombroek’s Vision. Berlin: Springer Science. Berlin. Wright, Ronald. 2006. A Short History of Progress. Edinburgh, New York, London: Canongate.